Irish rider Eddie Dunbar has signed a contract with Team Sky. And he will begin riding for the squad immediately. Racing for the team straight away has been made possible because of the collapse of his original team for 2018 Aqua Blue Sport. Team Sky announced the signing this morning. Another Irish rider, Philip Deignan, is already part of the team. Furthermore, Nicolas Roche previously rode for Team Sky for two years. Dunbar (22) will make his Team Sky debut on Saturday at Coppa Agostoni. He has agreed a deal to the end of the 2019 season. 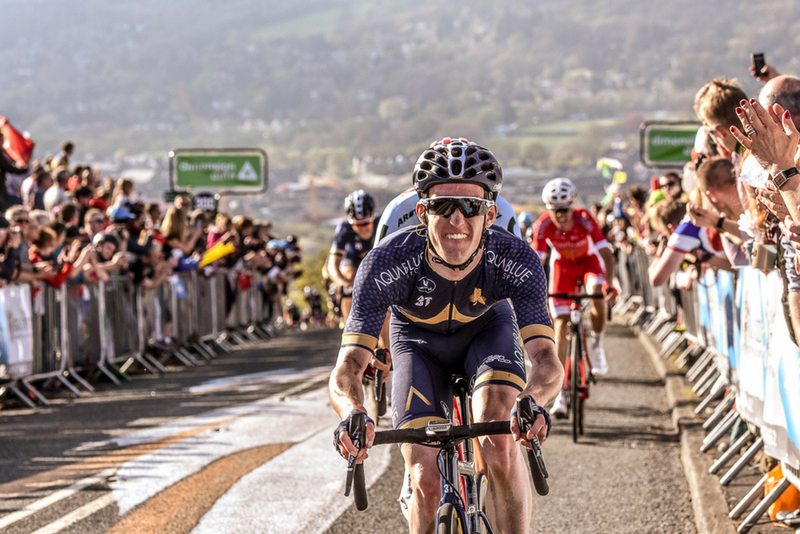 The Irish rider recently rode the Tour de l’Avenir with the Irish team. He took 2nd on the final stage, when he very nearly won. He rode extremely well in the mountains in France. And that suggested a top ride at the hilly World Championships in Innsbruck was in the offing. However, his plan to ride the Tour of Britain before the Worlds was ended when Aqua Blue Sport collapsed. As a result, Eddie Dunbar was facing a lead-in to the Worlds, on a course where he will have a great chance, with no racing. However, the move to Team Sky has rectified that. And after this season is done, Dunbar will have a one-year contract with the team. The term of the contract is something that could give him great flexibility and bargaining power for future contract talks if 2019 goes well. 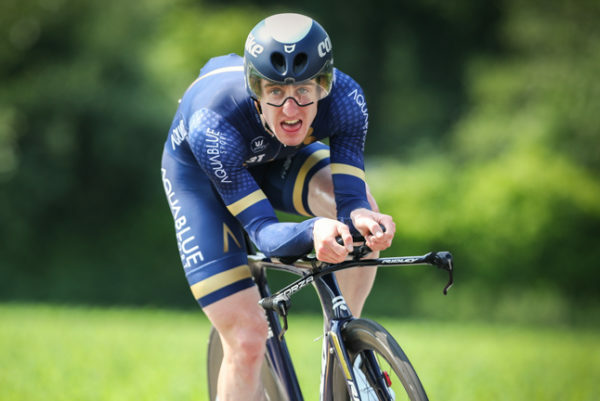 Eddie Dunbar riding against the watch for Aqua Blue Sport this year. Taking 2nd on the final stage of Tour de l’Avenir for Ireland. Eddie Dunbar is one of the most exciting prospects to come out of Ireland. Crucially, he has developed significantly every year. 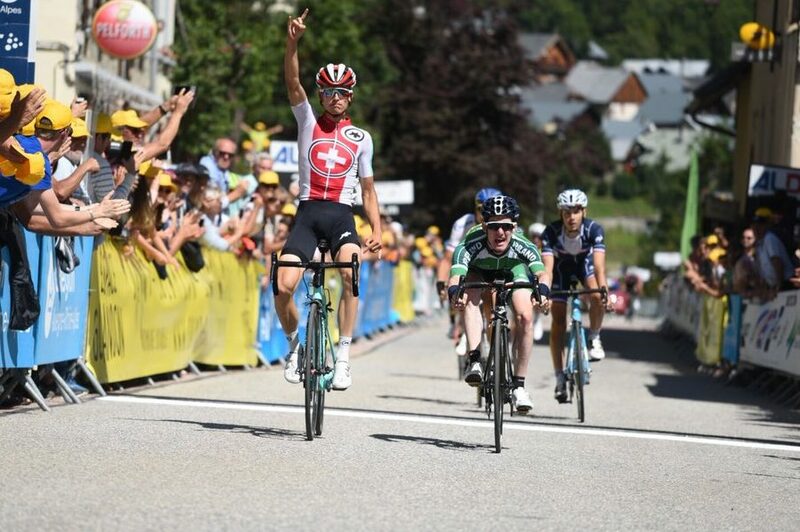 Furthermore, his climbing performances in France last month confirmed his status as world class on the climbs. “I’m really grateful for the opportunity I’m getting after the situation I’ve found myself in,” Dunbar said. “Sometimes a team folding is the way the sport goes. I just had to be professional about it and understand the situation. “Luckily Sky came along and they offered me a block of Italian races which is good preparation for Innsbruck. It’s all fallen into place for me. And I can’t wait to get started now. Team principal Dave Brailsford described Eddie Dunbar as a really exciting prospect that Team Sky was delighted to sign. “Obviously the circumstances, with Aqua Blue folding, aren’t ideal for anyone at the team, or the sport in general,” Brailsford said. “We have been watching him for a while and it’s clear that he has great potential,” said Brailsford of Eddie Dunbar. “He particularly impressed at the Tour de Yorkshire and Tour de l’Avenir this year. And we hope he can build on those performances with us. “We’re looking forward to integrating him into the team during the remainder of 2018, allowing him to hit the ground running in 2019.